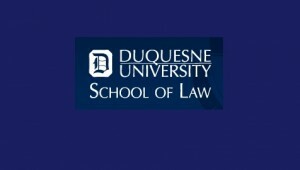 Duquesne University School of Law will host this year’s Mon River Colloquium, an annual event for law faculty from Duquesne University School of Law, West Virginia University College of Law, and University of Pittsburgh School of Law. The full-day program will be held on Fri., March 23, 2018, in the Faculty Lounge. Wesley M. Oliver, Associate Dean for Faculty Scholarship, Criminal Justice Program Director, and Professor of Law, Duquesne University School of Law, is organizing the program. The full program agenda and faculty papers are available here. This colloquium is open exclusively to law faculty from the three universities.